***Clean*** MOVE IN READY HOME, 100% SOLAR POWERED *** BILLS UNDER $12/MONTH! This was to be the forever home of the owners but due to a life change they need to sell. 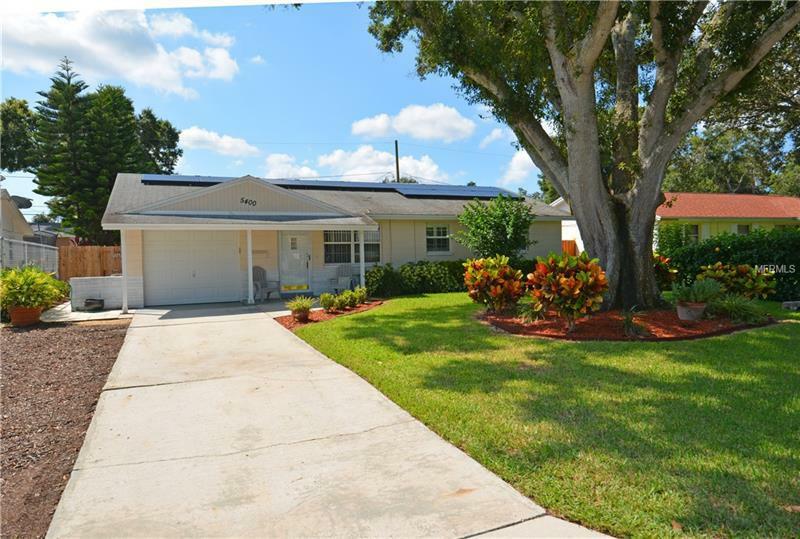 Beautiful landscaping, fenced yard, tile floors, wood cabinets, reclaimed water/sprinkler system, all appliances (washer/dryer/freezer); light, bright, 18x14 family room and cleaver features through out. Close to bus line shopping & more: 20 minutes to downtown St Petersburg, 30 minutes to Tampa International Airport, 15 minutes to St Pete/ClearwaterAirport and 20 minutes to the Beach.